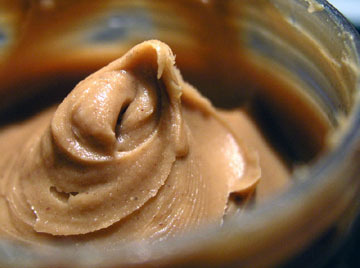 A combination of epidemiological analysis and laboratory testing by state officials in Minnesota and Connecticut, the Food and Drug Administration (FDA), and the Centers for Disease Control and Prevention (CDC) have enabled FDA to confirm that the sources of the outbreak of illnesses caused by Salmonella Typhimurium are peanut butter and peanut paste produced by the Peanut Corporation of America (PCA) at its Blakely, Georgia processing plant. Peanut butter is sold by PCA in bulk containers ranging in size from five (5) to 1,700 pounds. The peanut paste is sold in sizes ranging from 35-pound containers to product sold by the tanker container. Neither of these products is sold directly to consumers. However, through its investigation, FDA has determined that PCA distributed potentially contaminated product to more than 70 consignee firms, for use as an ingredient in hundreds of different products, such as cookies, crackers, cereal, candy and ice cream. Companies all over the country that received product from PCA have issued voluntary recalls of their products. FDA has created a searchable database for these products, which can be found at http://www.accessdata.fda.gov/scripts/peanutbutterrecall/index.cfm, Identification of products subject to recall is continuing and this list is updated frequently. Product recalls now include some pet food products that contain peanut paste that was made by PCA. While the risk of animals contracting salmonellosis is minimal, there is risk to humans from handling these products. It is important for people to wash their hands–and make sure children wash their hands–before and, especially, after feeding treats to pets. Further information for consumers is located in the Frequently Asked Questions section located on this web site. The pet food products are also included in the searchable data base of recalled products.